In stone composite applications, our BAER™ system replaces hazardous styrene, anhydride and peroxide initiator systems with a bio-based, non-toxic matrix without sacrificing aesthetics or performance. Composites based on the BAER™ binder matrix are stain resistant with high impact and mechanical strength and resilient to shock compared to natural stone such as granite and marble. 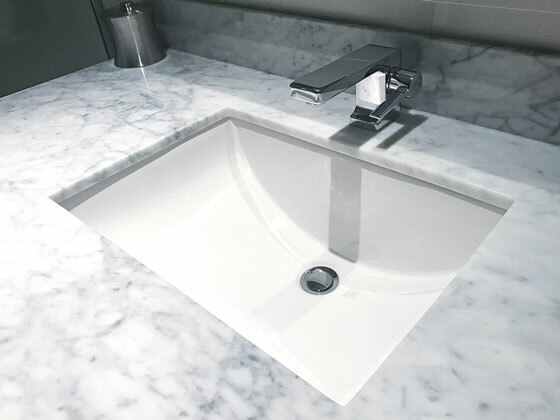 It produces a non-porous, stain resistant and durable stone composite surface.